Springfield Bank Tenant Association Meeting at 361 Sumner Avenue every other Tuesday 5:45-8PM. STAND UP FIGHT BACK! 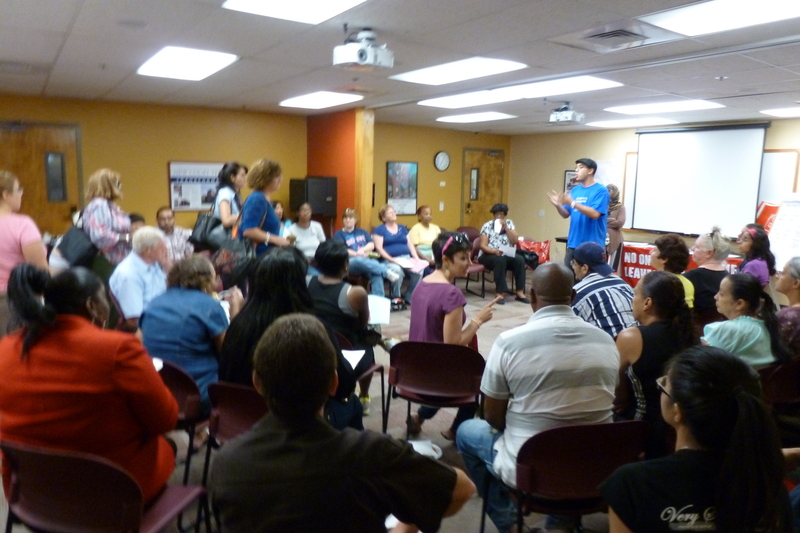 COME ORGANIZE WITH THE BANK TENANTS ASSOCIATION! For more information on Bank Tenant Meetings Contact Us at 413-342-1804! The Springfield No One Leaves Coalition organizes bi-weekly mass meetings of the Springfield Bank Tenant Association (SBTA). Meetings are held every other Tuesday from 6-8PM in Springfield. Meetings are in the spirit of a long history of tenant associations that have successfully fought for tenants and residents rights. At the meetings we engage residents living in foreclosed or potentially foreclosed meetings and promote ongoing political education and the development of bank tenant leaders to move the bank tenant movement forward. provide legal services for those who are in need of immediate legal assistance.